If you are a prime member you can enjoy listening to over 2 million ads-free songs on Amazon Echo, even when offline. 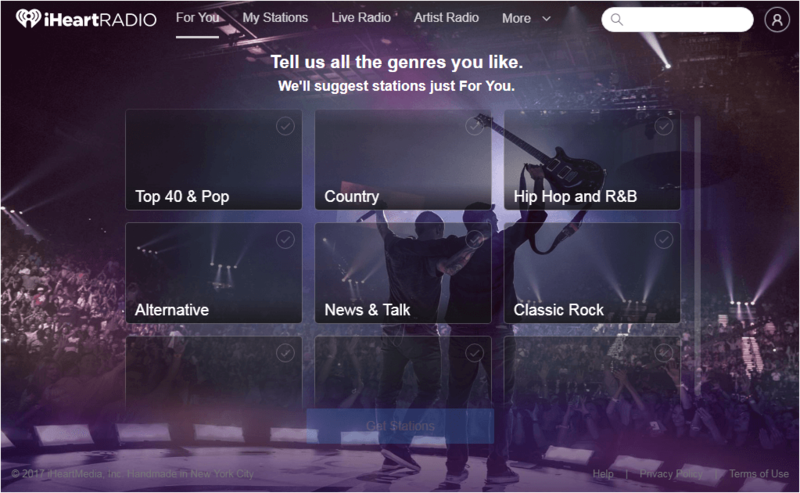 You can choose from the many curated lists by music experts, listen to your personalized stations or even create one from scratch. Not a big fan of too many accounts? No worries! 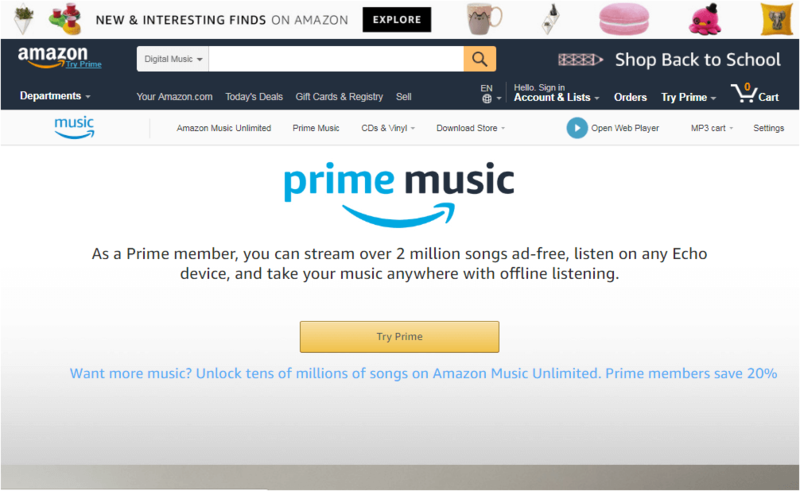 You can, without hassle, listen to music straight from your PC with Amazon Music. All you need to do is upload your collection/albums to their cloud and tell Alexa to play it via Amazon Echo. 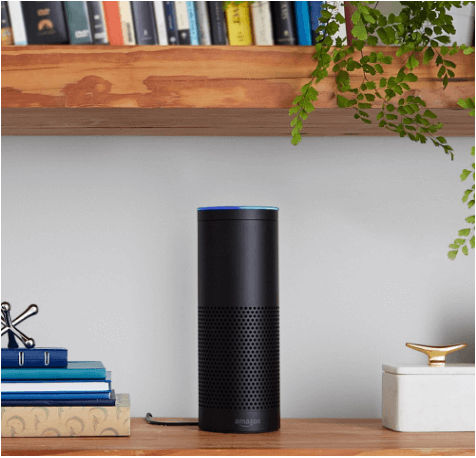 Follow this easy step-by-step guide to start listening to your favorite tunes on Amazon Echo. Remember FM and AM? Well, iHeartRadio is the digital streaming version of the same. It allows easy and disturbance-free playing of stations that your local radio doesn’t pick up. This can easily be linked with your Alexa enabled device Amazon Echo, allowing you to enjoy radio stations that aren’t in your reach. 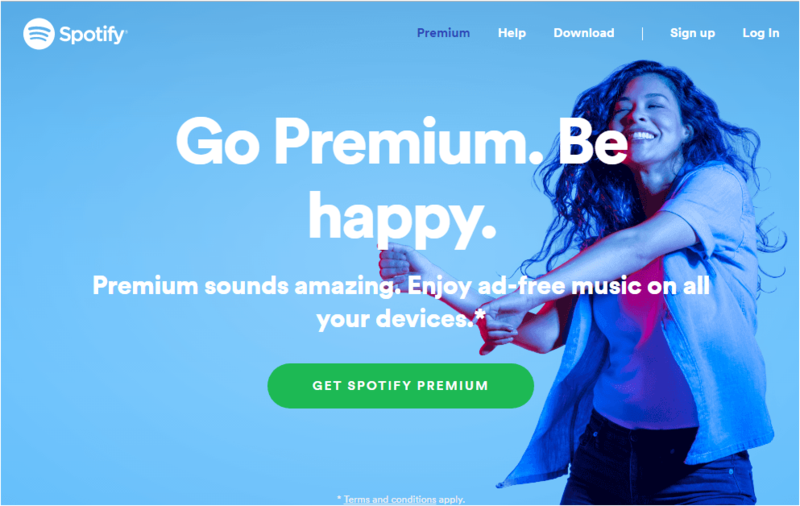 If you pay premium, you can even enjoy ads-free listening. If you don’t mind Ads so much, you can enjoy the free of cost sign-up. Here’s how you can pair your iHeartRadio account with Alexa. 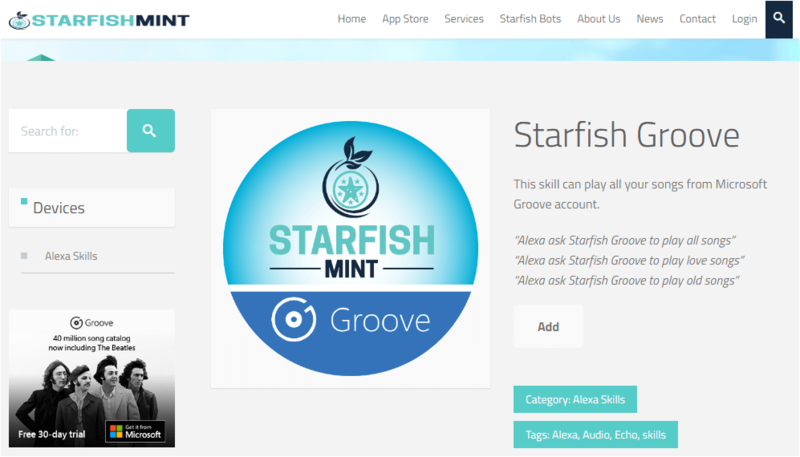 This skill by Starfish Mint can play all the songs you have in their Microsoft Groove account. The Microsoft groove is a music service by Microsoft that links with Microsoft one drive effortlessly. You can store as many musical favorites as you like in your one drive and as long as they can be detected by Amazon Echo, they will play through the Starfish Groove. Pandora is another great skill for listening to good music and various stations using Alexa. In case you already don’t have a personalized station created, Alexa will ask you if you want to create one. To play different stations on Amazon Echo, you must have an account on Pandora that shall later be linked with to your device to help you listen to your favorite tunes. Looking for an easy how-to? Pandora has one on its site. See here. 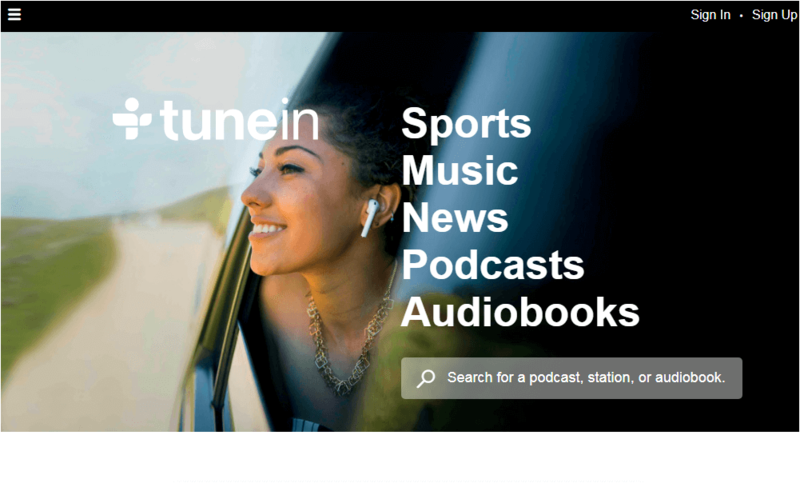 Another similar experience provider like that of Pandora, TuneIn can easily be linked to you Amazon Echo to fuel your love for good music, audio books and podcasts without commercials. TuneIn is especially for those who love listing to podcasts as there are over a million just waiting to be heard. A sign-up is not a requirement if you have an Amazon Alexa account already. A very close variant of the former is the Starfish Drive that allows the playing of music that has been stored in your Google Cloud device –Google drive. In order to enjoy listening to your favorite tunes all one has to do is link their Starfish Account with their Google Account. To enable the skill, simply type Starfish in the companion app skill section and enable the skill Starfish Drive. This should direct you to the login page. Upon logging in, your starfish account will be linked in with your Google Account and will play all the music files you have stored in one drive. Simply command Alexa to “open Starfish Drive” and it will itself start playing one’s most favorite tunes. Believe it or not, Spotify is the daddy of on-demand music. It comes supported by Alexa which means that you can easily enjoy listening to music from any genre or language if you have a premium account. Yes, sadly, it isn’t free but the packages are worth it. Once you have linked your device with Spotify, simply tell Alexa to play Spotify and it will! Need some help with the setup? Here’s how to do it. This is by far the simplest and quickest way to listen to your jam. Place your mobile device near Alexa and tell it to pair your smart device and Alexa will start the pairing process. Be sure to have the Bluetooth in your phone enabled so that Amazon echo can be shown as one of the devices to be paired. Need some more help with the process; here is a detailed guide on how to. Last, we have the Starfish Audio for those who don’t own a Google or Microsoft Groove Account. This extracts music files from your personal Microsoft cloud storage called the one drive. To enjoy music on your Alexa-enabled device, one must link the Microsoft account with that of Starfish’s. To enable Starfish, type Starfish in the companion app skill search bar and enable the skill Starfish Audio. This will direct you to the starfish login page. 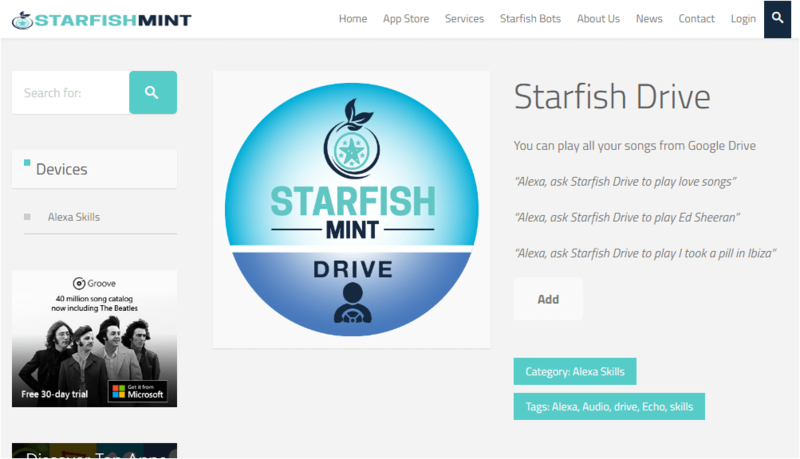 Upon successful log in, your starfish account will be linked with your Microsoft account and easily access all the songs and instrumentals using the Alexa command open starfish Audio. Next, command it to play your favorite tunes and it will immediately do so.